We have long held that decision making (DM) is a key artifact reflecting the state of a nuclear organization’s safety culture. The McKinsey Quarterly (MQ) has packaged a trio of articles* on DM. Their first purpose is identifying and countering the different biases that lead to sub-optimal, even disastrous decisions. (When specific biases are widely spread in an organization, they are part of its culture.) A second purpose is to describe the attributes of more fair, robust and effective DM processes. The articles’ specific topics are (1) the behavioral science that underlies DM, (2) a method for categorizing and processing decisions and (3) a case study of a major utility that changed its decision culture. This article covers the insights from psychology that can be used to fashion a robust DM process. The authors evidence the need for process improvement by reporting their survey research results showing over 50 percent of the variability in decisional results (i.e., performance) was determined by the quality of the DM process while less than 10 percent was caused by the quality of the underlying analysis. There are plenty of cognitive biases that can affect human DM. The authors discuss several of them and strategies for counteracting them, as summarized in the table below. Require alternative explanations for the data in the analysis, articulate participants’ relevant experiences (which can reveal the basis for their biases), identify similar situations for comparative analysis. Explicitly consider uncertainty in the input data and the possible outcomes. Establish stretch targets that can’t be achieved by business as usual. Involve a diverse group in the DM process and define specific decision criteria before discussions begin. Create genuine debate through a diverse set of decision makers, a climate of trust and depersonalized discussions. The greatest problem arises from biases that create repeatable patterns that become undesirable cultural traits. DM process designers must identify the types of biases that arise in their organization’s DM, and specify debiasing techniques that will work in their organization and embed them in formal DM procedures. An attachment to the article identifies and defines 17 specific biases. Much of the seminal research on DM biases was performed by Daniel Kahneman who received a Nobel prize for his efforts. We have reviewed Prof. Kahneman’s work on Safetymatters; see our Nov. 4, 2011 and Dec. 18, 2013 posts or click on the Kahneman label. While this article is aimed at complex, global organizations, there are lessons here for nuclear organizations (typically large bureaucracies) because all organizations have become victims of over-abundant communications, with too many meetings and low value e-mail threads distracting members from paying attention to making good decisions. The authors posit four types of decisions an organization faces, plotted on a 2x2 matrix (the consultant’s best friend) with scope and impact (broad or narrow) on one axis and level of familiarity (infrequent or frequent) on the other. A different DM approach is proposed for each quadrant. Big-bet decisions are infrequent and have broad impact. Recommendations include (1) ensure there’s an executive sponsor, (2) break down the mega-decision into manageable parts for analysis (and reassemble them later), (3) use a standard DM approach for all the parts and (4) establish a mechanism to track effectiveness during decision implementation. The authors observe that some decisions turn out to be “bet the company” ones without being recognized as such. There are examples of this in the nuclear industry. For details, see our June 18,2013 post on Kewaunee (had only an 8 year PPA), Crystal River (tried to cut through the containment using in-house expertise) and SONGs (installed replacement steam generators with an unproven design). Cross-cutting decisions are more frequent and have broad impact. Some decisions at a nuclear power plant fall into this category. They need to have the concurrence and support of the Big 3 stakeholders (Operations, Engineering and Maintenance). Silo attitudes are an omnipresent threat to success in making these kinds of decisions. The key is to get the stakeholders to agree on the main process steps and define them in a plain-English procedure that defines the calendar, handoffs and decisions. Governing policy should establish the DM bodies and their authority, and define shared performance metrics to measure success. Delegated decisions are frequent and low-risk. They can be effectively handled by an individual or working team, with limited input from others. The authors note “The role-modeling of senior leaders is invaluable, but they may be reluctant” to delegate. We agree. In our experience, many nuclear managers were hesitant to delegate as many decisions as they could have to subordinates. Their fear of being held accountable for a screw-up was just too great. However, their goal should have been to delegate all decisions except those for which they alone had the capabilities and accountability. Subordinates need appropriate training and explicit authority to make their decisions and they need to be held accountable by higher-level managers. The organization needs to establish a clear policy defining when and how a decision should be elevated to a more senior decision maker. Ad hoc decisions are infrequent and low-risk; they were deliberately omitted from the article. This is an interview with a senior executive of a German utility that invested €10 billion in conventional power projects, investments that failed when the political-economic environment evolved in a direction opposite to their assumptions. In their postmortem, they realized they had succumbed to several cognitive biases, including status quo, confirmation, champion and sunflower. The sunflower bias (groups aligning with their leaders) stretched far down the organizational hierarchy so lower-level analysts didn’t dare to suggest contrary assumptions or outcomes. The article describes how the utility made changes to their DM practices to promote awareness of biases and implement debiasing techniques, e.g, one key element is officially designated “devil’s advocates” in DM groups. Importantly, training emphasizes that biases are not some personal defect but “just there,” i.e., part of the culture. The interviewee noted that the revised process is very time-intensive so it is utilized only for the most important decisions facing each user group. The McKinsey content describes executive level, strategic DM but many of the takeaways are equally applicable to decisions made at the individual, department and inter-department level, where a consistent approach is perhaps even more important in maintaining or improving organizational performance. The McKinsey articles come in one of their Five Fifty packages, with a summary you can review in five minutes and the complete articles that may take fifty minutes total. You should invest at least the smaller amount. * “Better Decisions,” McKinsey Quarterly Five Fifty. Retrieved Nov. 28, 2017. Any Lessons for Nuclear Safety Culture from VW’s Initiative to Improve Its Compliance Culture? The Wall Street Journal (WSJ) recently published an interview* with the head of the new compliance department in Volkswagen’s U.S. subsidiary. The new executive outlined the department’s goals and immediate actions related to improving VW’s compliance culture. They will all look familiar to you, including a new organization (headed by a former consultant) reporting directly to the CEO and with independent access to the board; mandatory compliance training; a new code of conduct; and developing a questioning attitude among employees. One additional attribute deserves a brief expansion. VW aims to improve employees’ decision making skills. We’re not exactly sure what that means but if it includes providing more information about corporate policies and legal, social and regulatory expectations (in other words, the context of decisions) then we approve. These interventions could be from a first generation nuclear safety culture (NSC) handbook on efforts to demonstrate management interest and action when a weak culture is recognized. Such activities are necessary but definitely not sufficient to strengthen culture. Some specific shortcomings follow. First, the lack of reflection. When asked about the causes of VW’s compliance failures, the executive said “I can’t speculate on the failures . . .” Well, she should have had something to say on the matter, even party line bromides. We’re left with the impression she doesn’t know, or care, about the specific and systemic causes of VW’s “Dieselgate” problems that are costing the company tens of billions of dollars. After all, this interview was in the WSJ, available to millions of critical readers, not some trade rag. Second, the trust issue. VW wants employees who can be trusted by the organization, presumably to do “the right thing” as they go about their business. That’s OK but it’s even more important to have senior managers who can be trusted to do the right thing. This is especially relevant for VW because it’s pretty clear the cheating problems were tolerated, if not explicitly promoted, by senior management; in other words, there was a top-down issue in addition to lower-level employee malfeasance. Next, the local nature of the announced interventions. The new compliance department is for VW-USA only. The Volkswagen Group of America includes one assembly plant, sales and maintenance support functions, test centers and VW’s consumer finance entity. It’s probably safe to say that VW’s most important decisions regarding corporate practices and product engineering are made in Wolfsburg, Lower Saxony and not Herndon, Virginia. Finally, the elephant in the room. There is no mention of VW’s employee reward and recognition system or the senior management compensation program. We have long argued that employees focus on actions that will secure their jobs (and perhaps lead to promotions) while senior managers focus on what they’re being paid to accomplish. For the latter group in the nuclear industry, that’s usually production with safety as a should-do but with little, if any, money attached. We don’t believe VW is significantly different. Bottom line: If this WSJ interview is representative of the auto industry’s understanding of culture, then once again nuclear industry thought leaders have a more sophisticated and complete grasp of cultural dynamics and nuances. We have commented before on the VW imbroglio. See our Dec. 20, 2015 and May 31, 2016 posts or click on the VW label. *B. DiPietro, “Working to Change Compliance Culture at Volkswagen,” Wall Street Journal (Nov. 16, 2017). The International Atomic Energy Agency (IAEA) touted its safety culture (SC) self-assessment methodology at the Regulatory Cooperation Forum held during the recent IAEA 61st General Conference. Their press release* refers to the methodology as “new” but it’s not exactly fresh from the factory. 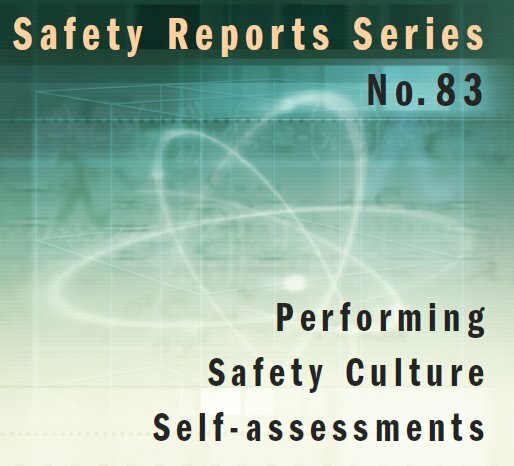 We assume the IAEA presentation was based on a publication titled “Performing Safety Culture Self-assessments”** which was published in June 2016 and we reviewed on Aug. 1, 2016. We encourage you to read our full review; it is too lengthy to reasonably summarize in this post. Suffice to say the publication includes some worthwhile SC information and descriptions of relevant SC assessment practices but it also exhibits some execrable shortcomings. 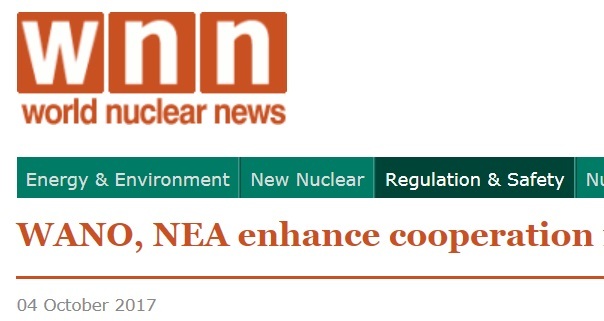 * IAEA, “New IAEA Self-Assessment Methodology and Enhancing SMR Licensing Discussed at Regulatory Cooperation Forum” (Sept. 22, 2017). 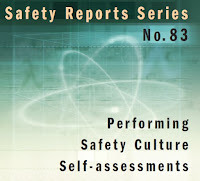 ** IAEA, “Performing Safety Culture Self-assessments,” Safety Reports Series no. 83 (Vienna: IAEA, 2016). The Cape Cod Times recently reported* on a security violation at the Pilgrim nuclear plant: one employee entering a secure area facilitated “tailgating” by a second employee who had forgotten his badge. He didn’t want to go to Security to obtain clearance for entry because that would make him late for work. The NRC determined the pair were deliberately taking a shortcut but were not attempting to do something malicious. The NRC investigation also revealed that other personnel, including security, had utilized the same shortcut in the past to allow workers to exit the plant. The result of the investigation was a Level IV violation for the plant. Of course, the plant’s enemies are on this like a duck on a June bug, calling the incident alarming and further evidence for immediate shutdown of the plant. Entergy, the plant’s owner, is characterized as indifferent to such activities. The article’s high point was reporting that the employee who buzzed in his fellow worker told investigators “he did not know he was not allowed to do that”. The incident itself was a smallish deal, not a big one. But it does score a twofer because it reflects on both safety culture and security culture. Whichever category it goes in, the incident is a symptom of a poorly managed plant and a culture that has long tolerated shortcuts. It is one more drop in the bucket as Pilgrim shuffles** toward the exit. This case raises many questions: What kind of training, including refresher training, does staff receive about security procedures? What kind of oversight, reminders, reinforcement and role modeling do they get from their supervisors and higher-level managers? Why was the second employee reluctant to take the time to follow the correct procedure? Would he have been disciplined, or even fired, for being late? We would hope Pilgrim management doesn’t put everyone who forgets his badge in the stocks, or worse. Bottom line: Feel bad for the people who have to work in the Pilgrim environment, be glad it’s not you or your workplace. ** In this instance, “shuffle” has both its familiar meaning of “dragging one's feet” and a less-used definition of “avoid a responsibility or obligation.” Google dictionary retrieved July 27, 2017. The Center for Public Integrity (CPI) has published a five-part report on safety lapses in the U.S. nuclear weapons complex—an array of facilities overseen by the Department of Energy (DOE). * Overall, the report paints a picture of a challenged and arguably weak safety culture (SC). Following is a summary of the report and our perspective on it. 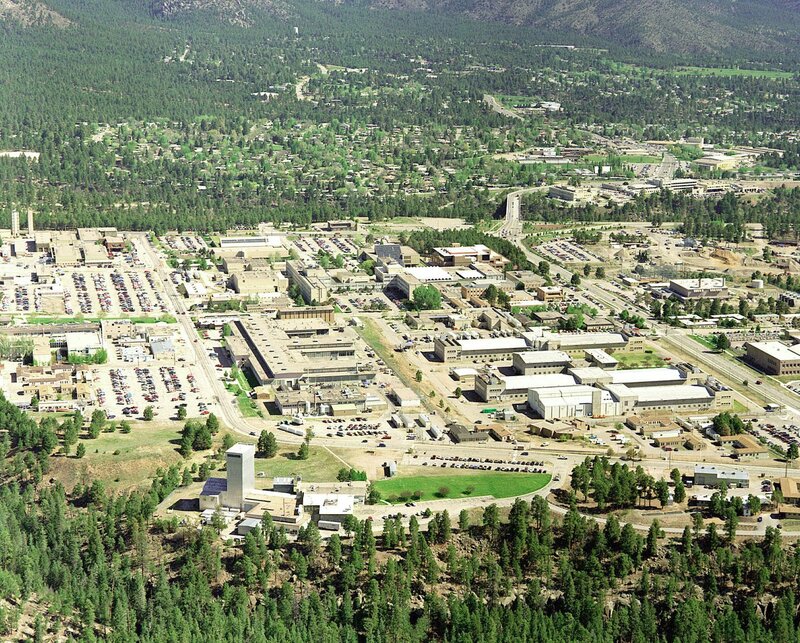 Part I traces the history of radioactive criticality incidents (which have resulted in human fatalities) and near-misses at Los Alamos National Laboratory (LANL). Analysis and production of plutonium pits, essential for maintaining the U.S. nuclear weapons inventory, has been halted for years because of concerns over safety issues. In addition, almost all members of the site’s criticality analysis team quit over inadequate management support for the team’s efforts. This section captures the key point of the entire report: the DOE contractors make a lot of money ($2B in profit over the last 10 years), the financial rewards for safety are minimal and the financial penalties for accidents and such are minimal (1-3% of profits) and often waived. Part IV details a 2014 incident in Nevada where over 30 personnel inhaled potentially cancer-causing uranium particles during laboratory experiments over a two-month period. The researchers were annoyed by radiation alarms so they switched them off (which also turned off a safety ventilation system). This was a self-inflicted wound that suggests a weak SC. Part V focuses on a radiation exposure accident at the Idaho National Laboratory. The accident occurred even though years before, the head of the safety committee had warned DOE managers about the hazards of handling the specific material involved in the accident. The lab contractor made 92% of its contractually available profit that year. 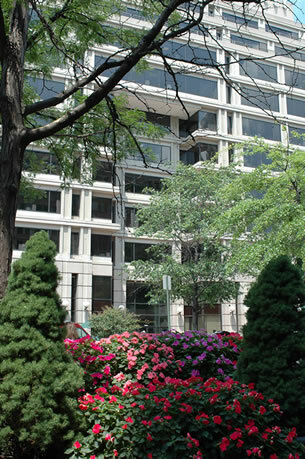 The contractor has petitioned DOE to reimburse the contractor’s litigation expenses (including payouts to affected employees) associated with the accident. The National Nuclear Security Administration (NNSA) is a semi-autonomous agency within DOE that oversees U.S. nuclear weapons work. In a statement** responding to the CPI report, the NNSA Administrator basically says the CPI report is incomplete and misleading with respect to LANL. Unsurprisingly, he starts with “Safety is paramount . . . . [CPI] attacks the safety culture at . . . (LANL) without offering all of the facts and the full context.” However, he does not directly refute the CPI report, instead he provides the NNSA’s version of history: LANL paused operations because of concerns with the criticality safety program. Since then, “LANL has increased criticality safety staffing and demonstrated improvements in its performance of operational tasks.” NNSA has withheld $82 million in fee payments to LANL. Finally, LANL maintained its ability to fulfill its mission during the pause in operations. Alternative facts? You be the judge. The DOE says it wants safe production but is not willing to wield the hammer (higher financial incentives for safety and more penalties for unsafety) to drive that outcome. In addition, DOE, constrained by Congress (which is bowing to their defense industry contributors), appears to deliberately understaff their own auditors and other procurement officials so they are unable to surface too many embarrassing problems. The contractors are rational. They understand that production is the primary goal and they accept that bad things will occasionally happen in a hazardous environment. They know they will make their profits no matter what happens, including facility shutdowns, because they can get paid for fixing problems they helped to create. The CPI report is not shocking to us and it shouldn’t be to you. (Click on the DOE label to see our many posts on DOE SC.) It merely documents what has been, and continues to be, business as usual at nuclear weapons facilities. If you can tolerate the overwrought writing, Part III is worth a look. The report describes problems at the Idaho National Laboratory and some NNSA facilities. 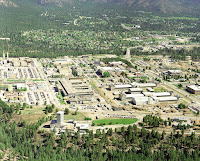 Overall, NNSA oversees eight sites that are involved with nuclear weapons: Kansas City National Security Campus (non-nuclear component manufacture), Lawrence Livermore National Laboratory (weapon design), Los Alamos National Laboratory (design and testing), Nevada National Security Site (testing), Pantex Plant (weapon assembly and disassembly), Sandia National Laboratories (non-nuclear component design), Savannah River Site (nuclear materials) and Y-12 National Security Complex (uranium components). A couple of recent reports address the nuclear safety culture (NSC) problems at Pilgrim and Watts Bar. This post summarizes the reports and provides our perspective on their content. Spoiler alert: there is not much new in this news. The NRC issued their report* on phase C of their IP 95003 inspection at Pilgrim. This is the phase where the NRC conducts its own assessment of the plant’s NSC. The overall finding in the cover letter is: “The NRC determined that programs and processes at PNPS [Pilgrim] adequately support nuclear safety and that PNPS should remain in Column 4.” However, the letter goes on to detail a host of deficiencies. The relative good news is that Pilgrim’s NSC shortcomings weren’t sufficiently serious or interesting to merit mention in the cover letter. In April the TVA inspector general (IG) issued a report** castigating TVA management for allowing a chilled work environment (CWE) to continue to exist at Watts Bar. The IG report’s findings included: TVA's analyses and its response to the NRC’s CWE letter were incomplete and inadequate; TVA's planned corrective actions are unlikely to have long-term effectiveness; precursors of the CWE went unrecognized by management; and management has inappropriately influenced the outcome of analyses and investigations pertaining to Watts Bar NSC/SCWE issues. Staff stress, fear and trust issues also exist. In response, TVA management pointed out the corrective actions that were taken or are underway since the first draft of the IG report was issued. Additionally, TVA management “has expressly acknowledged management's role in creating the condition and its responsibility for correcting it." This is merely a continuation of a couple of sad stories we’ve been reporting on for a long time. Click on the Entergy, Pilgrim, TVA or Watts Bar labels to get our earlier reports. The finding that Pilgrim did not adequately benchmark against industry standards is appalling. Entergy operates a fleet of nuclear plants and they don’t know what industry standards are? Whatever. Entergy is closing all the plants they purchased outside their service territory, hopefully to increase their attention on their utility-owned plants (where Arkansas Nuclear One remains a work in progress). 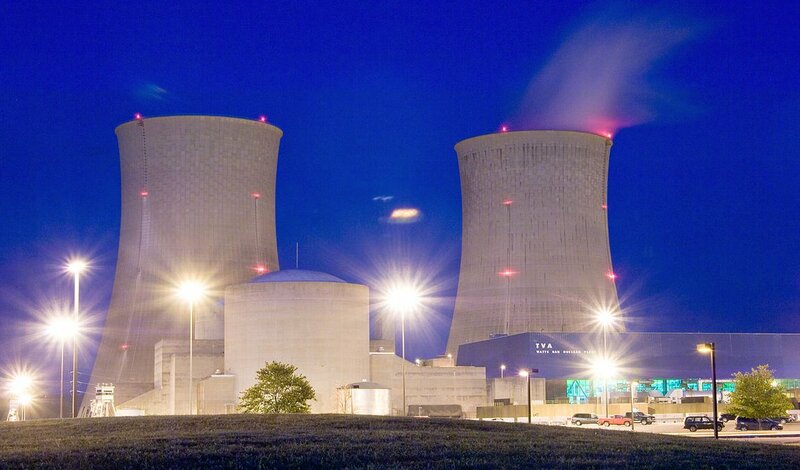 We applaud the TVA IG for shining a light on the agency’s NSC issues. In response to the IG report, TVA management put out a typical mea culpa accompanied by claims that their current corrective actions will fix the CWE and other NSC problems. Well, their prior actions were ineffective and these actions will also probably fall short. It doesn’t really matter. TVA is too big to fail, both politically and economically, and their nuclear program will likely continue to plod along forever. * D.H. Dorman (NRC) to J. Dent (TVA), “Pilgrim Nuclear Power Station – Supplemental Inspection Report (Inspection Procedure 95003 Phase ‘C’) 05000293/2016011 and Preliminary Greater-than-Green Finding” (May 10, 2017). ADAMS ML17129A217. ** TVA Inspector General, “NTD Consulting Group, LLC's Assessment of TVA's Evaluation of the Chilled Work Environment at Watts Bar Nuclear Plant - 2016-16702” (April 19, 2017). Also see D. Flessner, “TVA inspector general says safety culture problems remain at Watts Bar,” Chattanooga Times Free Press (April 21, 2017). Retrieved May 25, 2017. A new research paper* covers the challenges of establishing and improving nuclear safety culture (NSC) in a dynamic, i.e., project, environment. The authors are Finnish and Swedish and it appears the problems of the Olkiluoto 3 plant inform their research interests. Their summary and review of current NSC literature is of interest to us. They begin with an overall description of how organizational (and cultural) changes can occur in terms of direction, rate and scale. Top-down (or planned) change relies on the familiar unfreeze-change-refreeze models of Kurt Lewin and Ed Schein. Bottom-up (or emergent) change emphasizes self-organization and organizational learning. 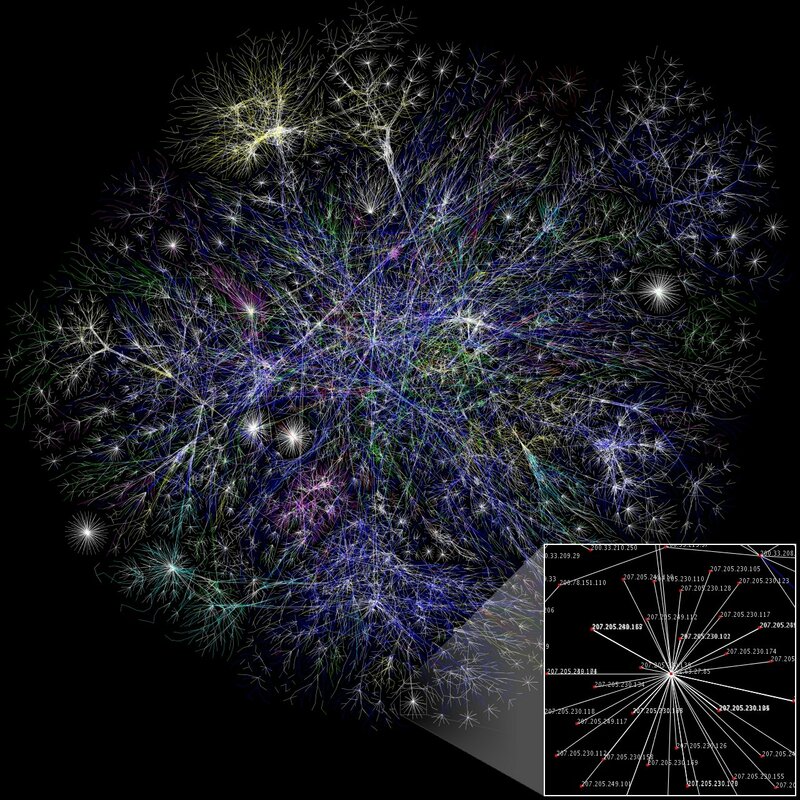 Truly free form, unguided change leads to NSC being an emergent property of the organization. As we know, the top-down approach is seldom, if ever, 100% effective because of frictional losses, unintended consequences or the impact of competing, emergent cultural currents. In a nod to a systems perspective, the authors note organizational structures and behavior influence (and are influenced by) culture. “Organizational change can also be distinguished by the rate of its occurrence, i.e, whether the change occurs abruptly or smoothly [italics added].” (p. 8) We observe that most nuclear plants try to build on past success, hence they promote “continuous improvement” programs that don’t rattle the organization. In contrast, a plant with major NSC problems sometimes receives shock treatment, often in the form of a new senior manager who is expected to clean things up. 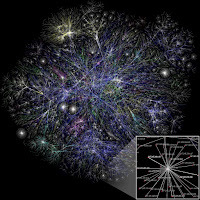 New management systems and organizational structures can also cause abrupt change. The authors identify four levels of change. Most operating plants exhibit the least disruptive changes, called fine tuning and incremental adjustment. Modular transformation attempts to change culture at the department level; corporate transformation is self-explanatory. Recruit and select employees who will support a strong NSC. This section includes a literature review for examples of the specific strategies. The nature of project organizations is discussed in detail including their time pressures, wide use of teams, complex tasks and a context of a temporary organization in a relatively permanent environment. The authors observe that “in temporary organisations, the threat of prioritizing “production” over safety may occur more naturally than in permanent organizations.” (pp. 16-17) Projects are not limited to building new plants; as we have seen, large projects (Crystal River containment penetration, SONGS steam generator replacement) can kill operating plants. The balance of the paper covers the authors’ empirical work. This is a useful paper because it provides a good summary of the host of approaches and methods that have been (and are being) applied in the NSC space. That said, the authors offer no new insights into NSC practice. Although the paper’s focus is on projects, basically new plant construction, people responsible for fixing NSC at problem plants, e.g., Watts Bar, should peruse this report for lessons they can apply that might help achieve the step function NSC improvements such plants need. * K.Viitanen, N. Gotcheva and C. Rollenhagen, “Safety Culture Assurance and Improvement Methods in Complex Projects – Intermediate Report from the NKS-R SC AIM” (Feb. 2017). Thanks to Aili Hunt of the LinkedIn Nuclear Safety Culture group for publicizing this paper.